I won’t let you use your genetics as an excuse! We humans can overcome nature when we want to. 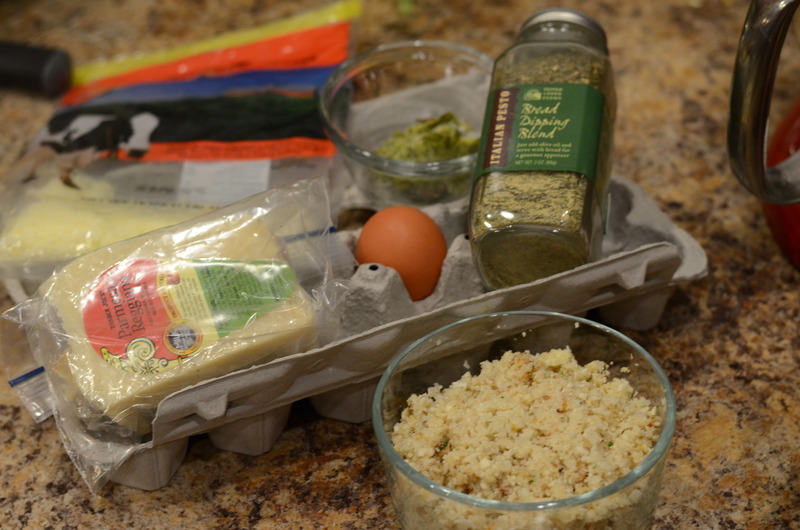 Somewhere along the way in reading my cooking magazines, email newsletters, and online media, I came across a recipe for using cauliflower as pesto. For some reason (genetics? 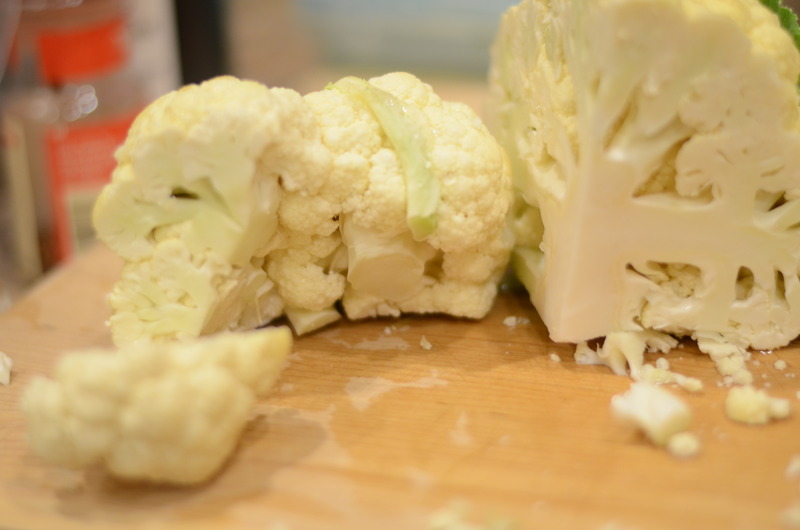 ), I liked the idea of obliterating the cauliflower and transforming it into something mostly unrecognizable. Cook linguine according to the package directions in a large pot of salted boiling water. When draining, reserve 1 cup of the pasta water. Keep pasta warm while preparing the pesto. 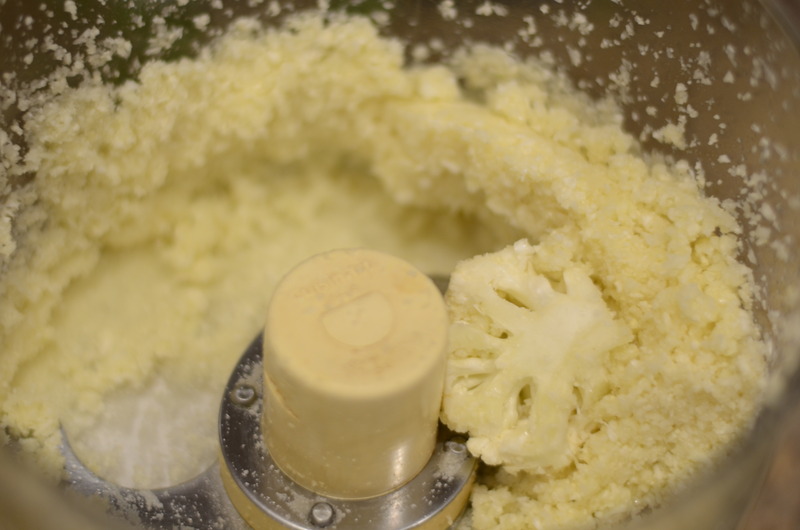 Cut the cauliflower into chunks, placing them in the food processor as you work. Stop when the bowl is about halfway full to allow space for processing (it is much easier to do this in two batches rather than forcing all the cauliflower in and having to pulse and stir repeatedly-trust me). Pulse until crumbs appear couscous-like. Transfer to a large mixing bowl. 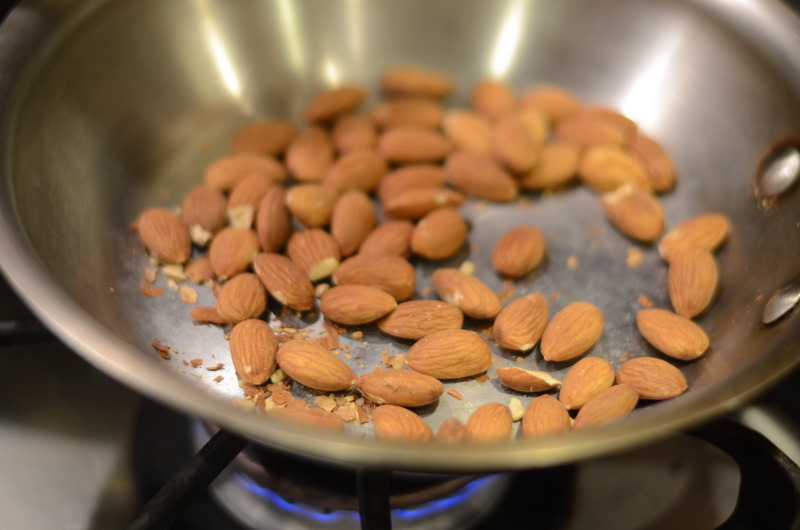 Toast the almonds in the oven or in a small, dry skillet over medium-low heat until lightly browned, paying close attention and stirring to avoid burning. Cool, then put in the food processor. 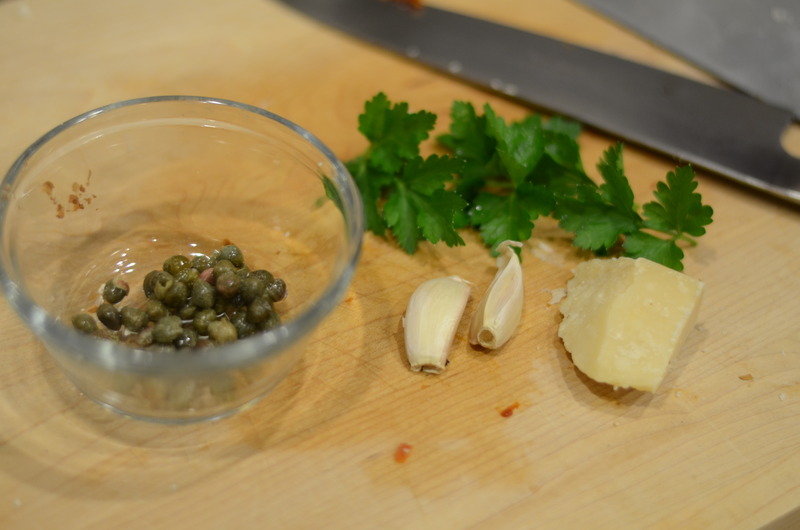 Add the sun-dried tomatoes, the cheese, garlic, capers and parsley. 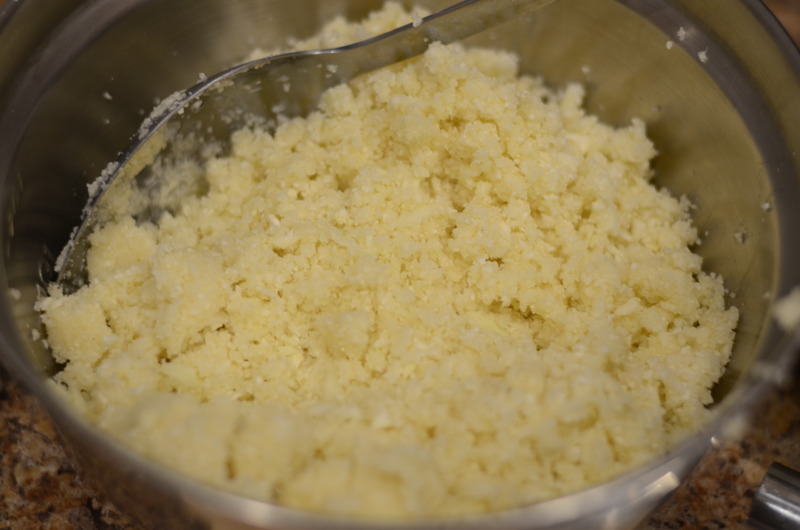 Process to a chunky bread-crumb consistency, then add the mixture to the mixing bowl with the cauliflower in the bowl. Stir in the oil, 2 teaspoons of the vinegar, 1/2 teaspoon of salt and crushed red pepper flakes to form a pesto-like mixture. The yield is several cups, likely more than you need for 4 servings of pasta. Add the pasta and toss to coat. Add as much of the reserved pasta cooking water as needed to create the desired consistency. 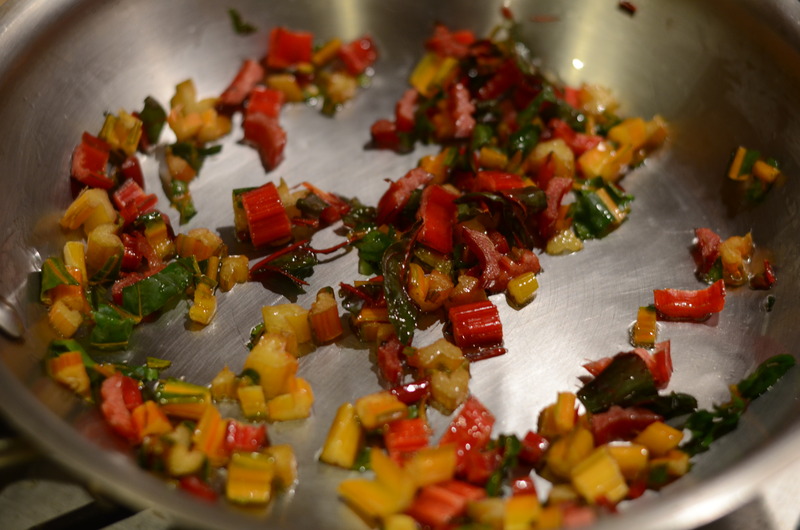 Taste, and adjust the seasoning, adding the remaining 1/2 teaspoon of vinegar as needed. I found that the recipe needed extra oil (which could be added in an earlier step also). It may be more accurate to gauge the flavor and texture once everything is stirred in with the pasta. 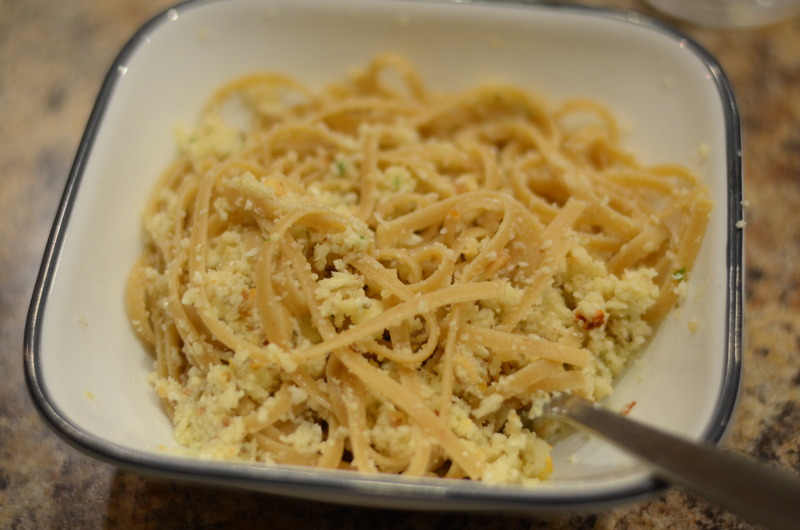 I had all this leftover cauliflower pesto, and I didn’t want to keep eating it with pasta. 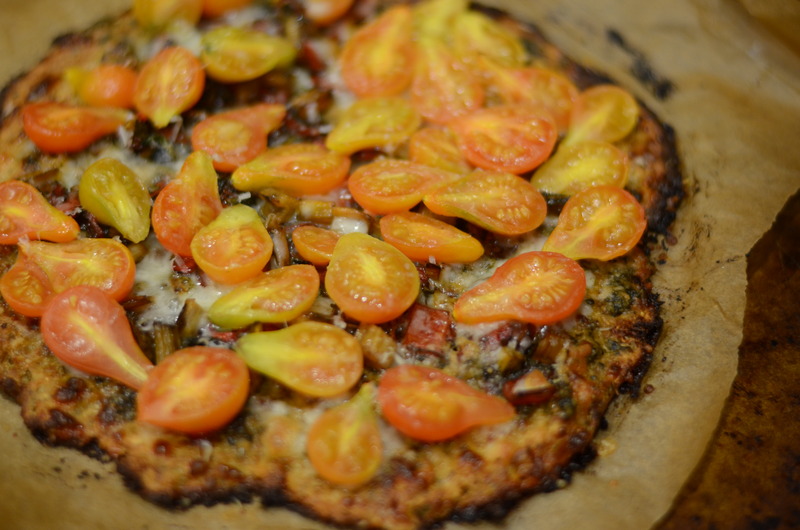 Fortunately, I remembered hearing that you can use a cauliflower mixture as a pizza crust. Microwave cauliflower in a glass bowl for about 8 minutes. 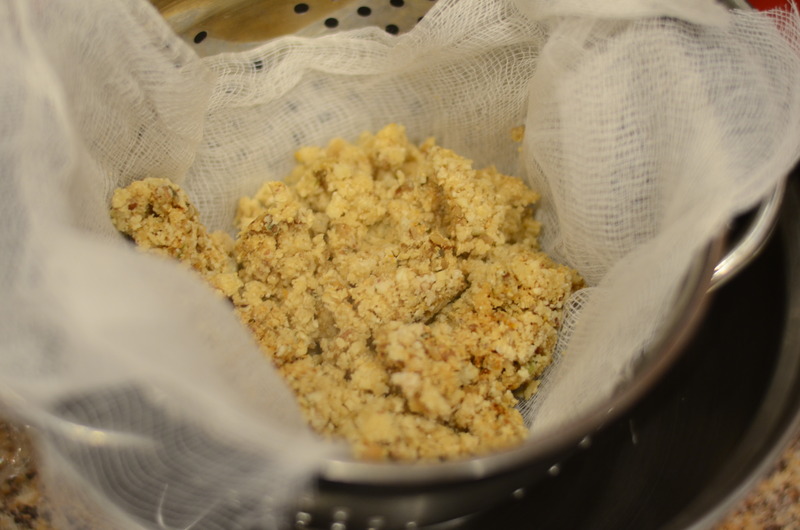 Let it cool some, and then transfer to a cheese cloth or clean dish towel to squeeze out any excess water. My cauliflower mixture was already pretty dry.. 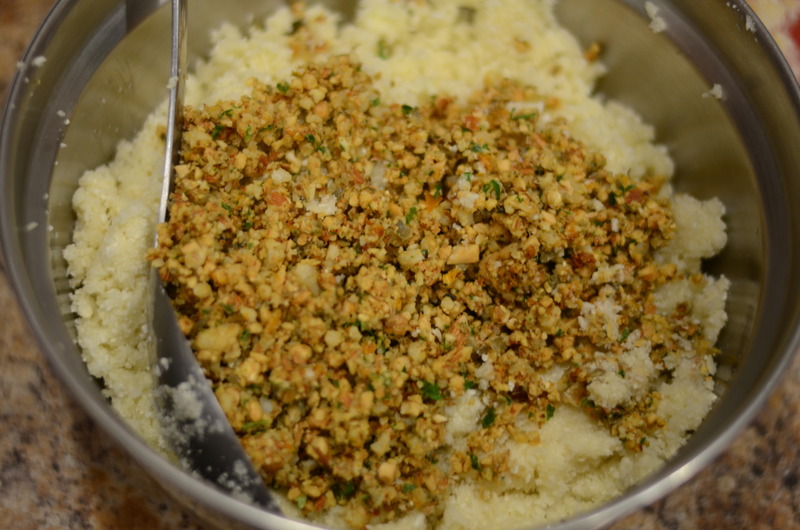 Mix together cauliflower, egg, mozzarella, herbs and spices in a large bowl. 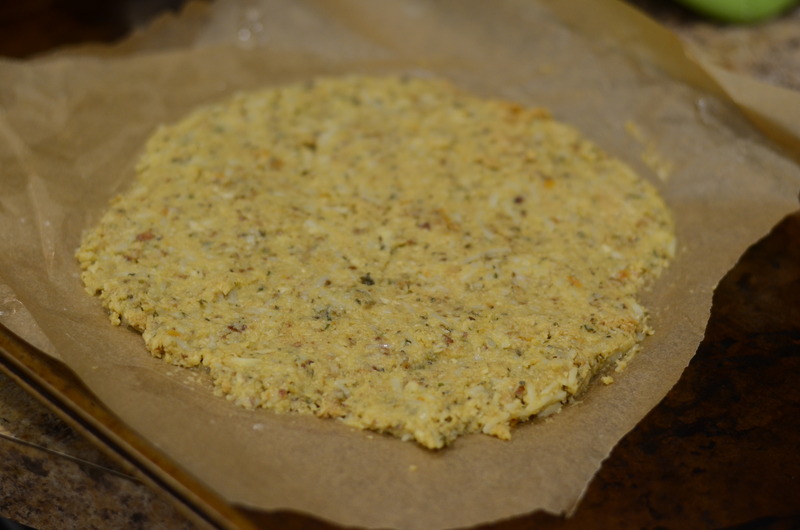 Spread the cauliflower crust out into a big pan using a rubber spatula. 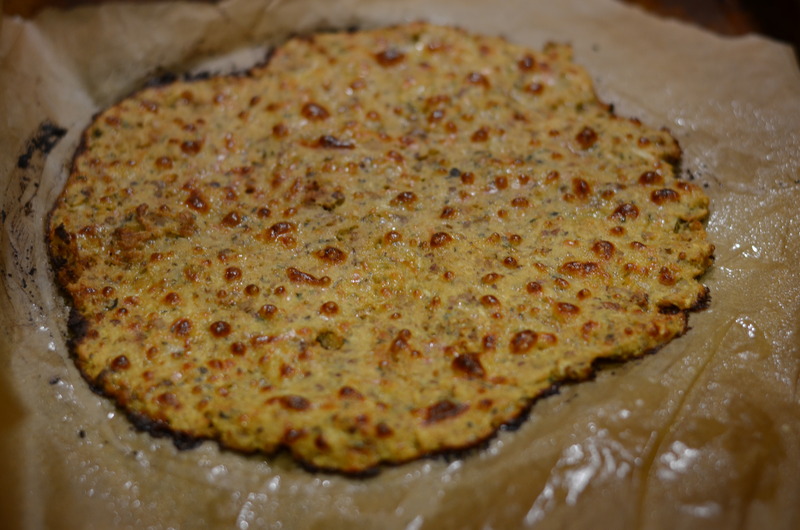 You can use a Silpat, parchment paper, or grease the pan and scatter with cornmeal or semolina. Bake the crust about 10-15 minutes. You will see the crust star to get very dark on the sides. 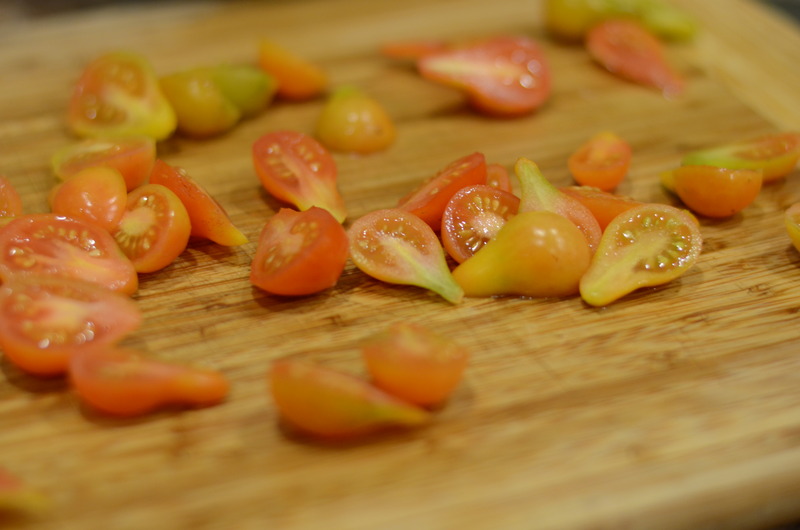 While the crust is browning, prepare toppings. I sautéed my swiss chard stems in olive oil. Add the pesto, swiss chard, halved tomatoes, and cheese. 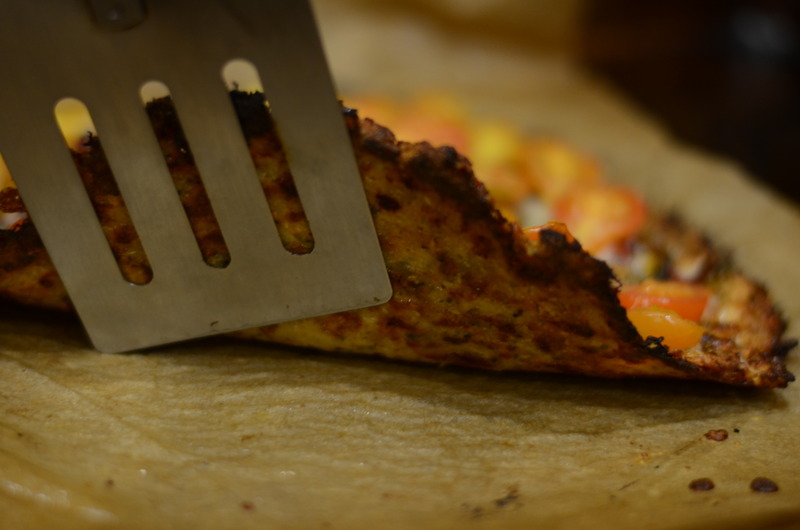 Lower the oven temperature to about 375 degrees and return the pizza to the oven to bake for about 10 more minutes, until the cheese is melted. Got it just in time. The result was wonderfully indulgent. There must be a significant amount of “good fats” in each serving. It’s basically eating pesto on pesto after all! I had no trouble finishing the whole pizza myself in two days. 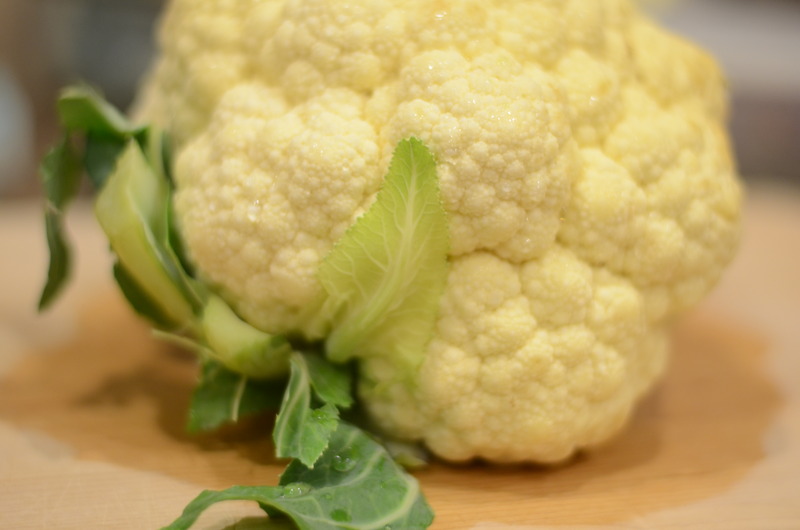 That’s pretty impressive for cauliflower. 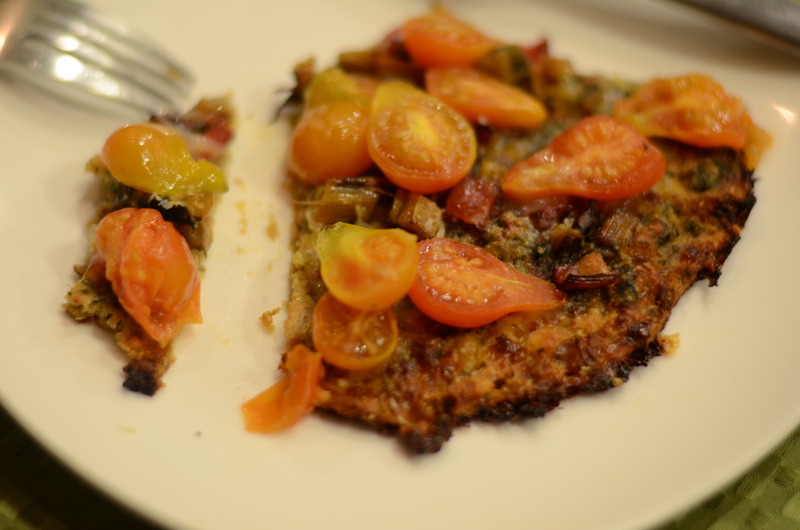 This entry was posted in Fresh Herbs, Great leftovers for lunch, Recipes, Tomatoes, Vegetables, Vegetarian and tagged cauliflower, cauliflower pesto, cauliflower pizza, linguine, pesto, pizza. Bookmark the permalink.